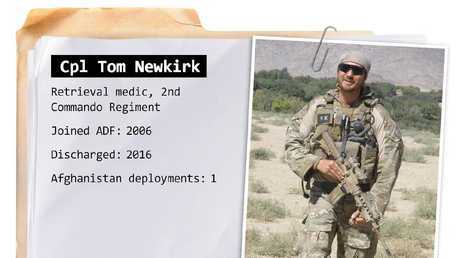 CORPORAL Tom Newkirk had an advantage while settling into life after 10 years in the military; his wife Kate. The couple met during basic training at Kapookaand while undertaking their initial medic course Newkirk says "things just came together". He sat down with The Daily Telegraph for an extended chat during filming for the Voodoo Medics investigation. 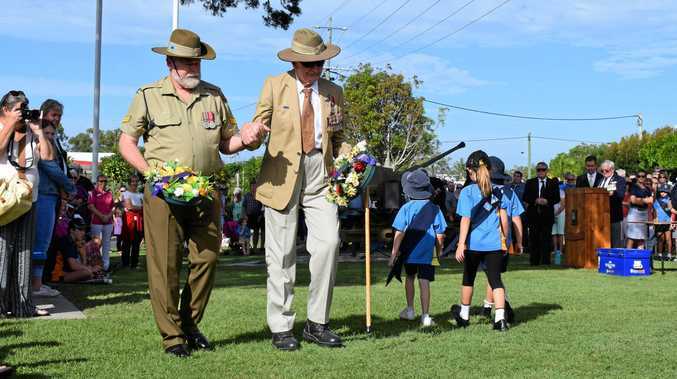 Both Newkirks served as medics during their time in the Australian Defence Force but the two embarked on starkly different career paths after their initial meeting. Tom deployed to Afghanistan in 2010 as a retrieval medic with the 2nd Commando Regiment while Kate served predominantly in humanitarian aid, deploying to tsunami-hit Sumatra and assisting Indonesian locals. When Tom made the decision not to redeploy to the Middle East in 2013, it was a choice made easier after conversations with his wife. "Initially I was confused making the decision," Newkirk said. "I discussed it with Kate and decided it wasn't in the best interest of our family to deploy again. "When I finally told work, I felt immediately better". The couple had recently welcomed their first son into the world and Newkirk wanted to focus on his growing family. "I think it's been helpful to have Kate who has also been in the army, so we both understand what we might both be going through," he said. After Newkirk formally discharged in 2016, the pair bought a 120-year-old heritage property near Sydney and began restoring it together, finding the process "therapeutic". Tom and Kate Newkirk with their two young sons. 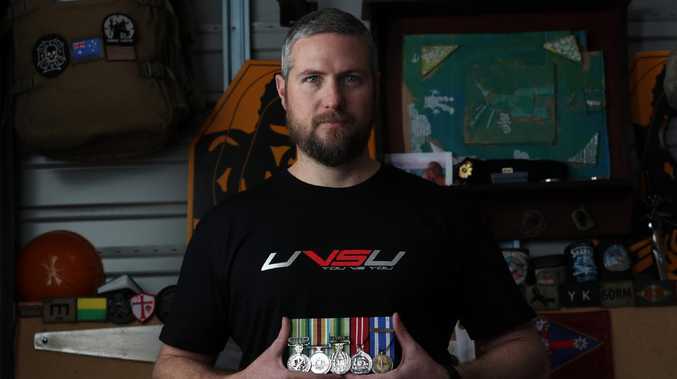 Newkirk found a new career with NSW Corrections, but admits he found it "extremely difficult to find self-defining work" after a decade in the military. "People who come from the army in an alpha environment, it can be difficult. 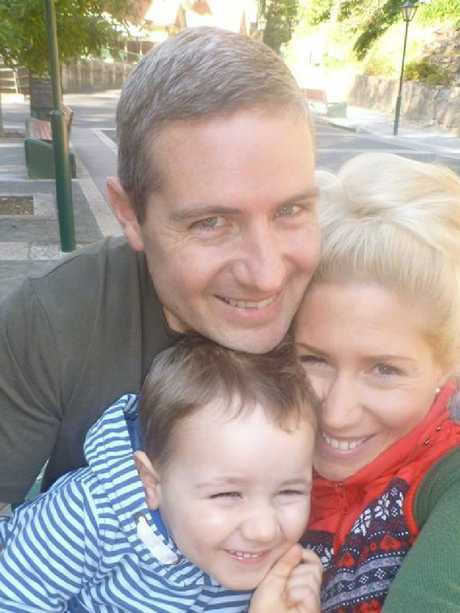 "I struggled with it a little bit but Kate my wife reminded me constantly that family is just as defining and it took me a while to get there, but now I can identify with the family as being just as self-defining." 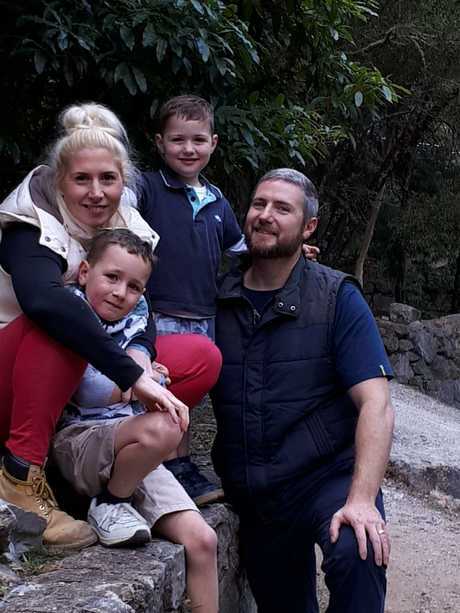 The Newkirks are restoring a heritage property near Sydney.